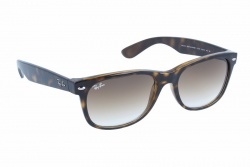 Sunglasses are an essential accessory, perfect to wear throughout the year. Making the correct choice is very important, for this reason we have to take into account features as our face shape, design, materials and lenses. Even though we know that trends and beauty are very important, we must not set aside the benefits for our eyes' health. Colours, treatments and lenses shape can influence in our comfortability. The best brands have these points very present and little details make the difference. Brands as Chanel, Dior, Ray ban, Vuarnet, Maui Jim, Serengeti, Oakley, Ana Hickmann, among others, stand out for its quality. We have more than 4000 models available from the best brands, and the widest variety in designs and colours. We have a great professional team that can assess you at any moment. In this way you can choose the best model for you. 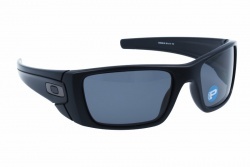 In our store is very easy to buy sunglasses online, the process can be done in a few minutes. You just have to go to the menu, filter the characteristics wanted and choose the model. In a few steps you will have your purchase done, we will ship it immediately and you will receive it in a short time. All our products have the best guarantee. In our wide catalogue we have a great offer in sunglasses for women. We always have the latest tendencies, so our customers can find the glasses for women they were looking for. In the latest years designs with cat eye, big shapes, colourful and degraded lenses stood out. Furthermore, round and aviator sunglasses are back in trend. 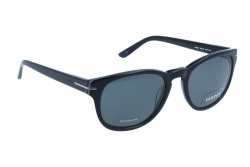 You can find models like these in brands as Chanel, Ray ban, Michael Kors, Oliver Peoples, Epos or Etnia. When talking about sunglasses for men we always think about square or rectangular shapes with straight lines. In the latest years these characteristics have changed and now we can find modern designs with innovative shapes. In fact, frames with round shape or double bridge are trend in the latest collections. It is true that there are not many colours in sunglasses for men. In fact, brands bet for plain colours in brown, black, grey and blue tones. Nowadays, parents are aware of the necessity of sunglasses for kids. Protecting the eyes of our children ensures a better future with less visual problems. Glasses for kids have special characteristics, materials and filters. Among the most used materials we can emphasize silicone glasses that are super flexible and resistant. Oval or round shapes are the most recommended covering the eye and avoiding ultraviolet rays or harmful light entering in the retina. This year all brands have betted for big and classic shapes. The most innovative designs are with double bridge both in metal and acetate frames. Furthermore, cat eye shapes are still standing out and the trend continues. Designs for women are emphasized in brands as Chanel, Dior, Chloé, Céline, Carolina Herrera, among others. When talking about lenses trends point out to degraded and clear tones. In Optical H you can buy your sunglasses online at best price. In our wide catalogue you will find the design and type of frame that you are looking for. Moreover, our professional team will assess you at any moment during the purchase. We want you to enjoy the experience of buying your glasses online with all guarantees.